Mystery abounds about what is happening with the Elephant & Castle shopping centre. An article purporting to give the latest information on www.costar.co.uk was removed from their website after only a day. But the google cached version can still be viewed here If the article is accurate it looks like nothing will be done until 2014 at the earliest; shopping centre owner St. Modwen/Salhia promised a planning application by the end of this year. It seems that St. Modwen and Southwark cannot agree on the amount of housing the development should have: St. Modwen want 1,000 new homes but Southwark council want no more than 500. No details are given of how much affordable housing either option would provide. 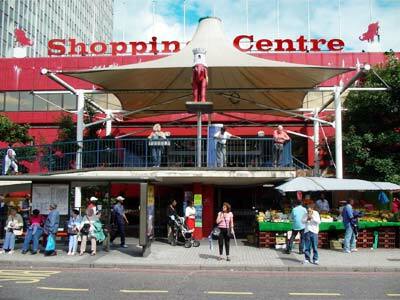 It is worth remembering that the redevelopment of the shopping centre was considered the critical element for the success of the Elephant & Castle regeneration. It was to provide the ‘destination’ retail units that were to attract affluent shoppers to the area, and along with private housing would raise the general level of local prosperity. After Southwark signed the regeneration agreement with Lend Lease in July 2010, it did consider the ‘nuclear’ option of compulsory purchase of the shopping centre, but in the event a deal was struck with St. Modwen, making them something like a third partner to the regeneration. Southwark awaits the decision of its recent Compulsory Purchase Order for of Heygate leaseholders. 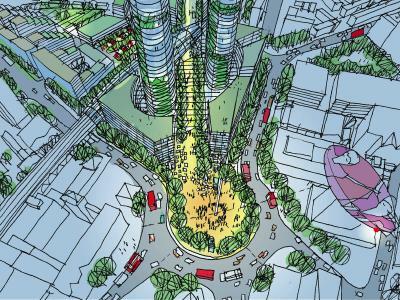 If it is granted, will Southwark’s success embolden it to revisit this option for the shopping centre? Deputy Mayor for Transport Isabel Dedring, also appears to have a different idea for the shopping centre if the reference to its demolition is accurate. St. Modwen favour refurbishment and redevelopment of the existing structure. The uncertaintly surrounding the remodelling of the northern roundabout and the northern line upgrade are also big factors. A feasibility study of the roundabout’s peninsularisation is due to appear this month. Agreement is still pending for the funding of the northern line tube station capacity upgrade.